Complex Regional Pain Syndrome (CRPS) is a poorly understood condition which affects on average 1 in 3800 people in the UK. CRPS can cause a person to experience persistent, severe and often debilitating pain. Every sufferer experiences different combinations and intensity of symptoms. CRPS has many physical symptoms such as swelling, colour change, temperature change and skin hypersensitivity to the affected area. The most prevalent symptom is the pain in the affected area is out of proportion to the initial injury or problem; CRPS is ranked as the highest pain level on the McGill pain scale above childbirth and amputation of a digit. These symptoms combined can cause insomnia, fatigue, depression and anxiety. CRPS can also have a significant impact on daily life for the sufferer. Sufferers can find they are no longer able to do many things they used to, causing a dramatic change in lifestyle and social activities. CRPS can also affect the mobility of the sufferer and their ability to carry out daily tasks, which can impact further on the sufferer's job and in some cases cause the sufferer to have to stop working. All of these problems can lead to the sufferer feeling incredibly isolated and depressed. Burning Nights CRPS Support has been up and running since September 2014 and has grown hugely since then and in April 2016 Burning Nights became a UK registered charity. 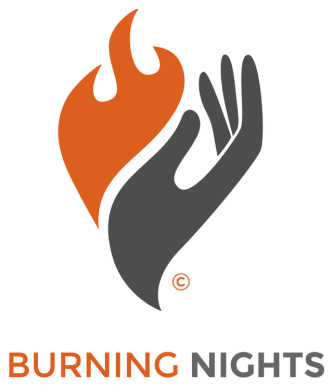 Burning Nights aims to improve the quality of life for sufferers, carers, families and friends affected by CRPS. We are trying to raise awareness of this disease through the selling of our products, CRPS awareness sessions for healthcare professionals and spreading the word via social media and our website. We also aim to educate the general public about CRPS, what the disease is and how it affects sufferers. There is low awareness and a poor understanding of CRPS in the UK, it is therefore vital that a support system is in place for sufferers and their families. Burning Nights offers detailed information and support for sufferers and their loved ones through our website and social media accounts. We provide sufferers with an outlet to speak about their difficulties in everyday life, and give sufferers an opportunity to share experiences and learn new coping methods through our online forum on the website, regular support groups, our annual national conference and on social media. We also have a telephone help and information line where anyone affected by CRPS is able to talk with someone who suffers with the condition. - Firstly, make sure you have access to a support network, whether at home, online or locally. - Learn to pace yourself and realise your limitations. - Learn relaxation techniques such as breathing exercises and distraction techniques. - Explore alternative therapies that could be beneficial. - Seek psychological support or counselling to help you cope with the changes to your daily living and managing heightened emotions. - Maintain or change hobbies to prevent isolation. - The hardest but most important tip is accepting your diagnosis, finding acceptance and learning to move forward with your life after a CRPS diagnosis is by no means easy. Burning Nights is interested in the 'Cloudy with a Chance of Pain' project because the symptoms of CRPS can fluctuate for many different reasons and we would like to identify if CRPS pain is affected by the weather. If we can identify patterns associated with the weather and pain levels this would help to provide tips for other sufferers about how to limit their pain levels in different weathers. November is CRPS awareness month and Colour The World Orange™ is an annual event held on the first Monday of November to spread awareness of CRPS in the UK and worldwide. November 7 will be Colour The World Orange ™ day in 2016 and there will be various events around the world in support of CRPS and raising awareness of the condition. You can contact Burning Nights CRPS Support via our website on www.burningnightscrps.org, by phone on 01663 795055 or by email on support@burningnightscrps.org.